EPDM (ethylene propylene diene monomer rubber), is an elastomer characterized by a wide range of applications. It is widely accepted around the world due to its excellent resistance to steam, water and heat, as well as ozone, sunlight, mild acidic, alkali and oxygenated solvents. EPDM can be cured with sulphur and peroxide, depending on the requirements of the application. Compared with sulphur cured EPDM, peroxide cured EPDM compounds have a better chemical and thermal resistance. Where peroxide cured EPDM can resist a temperature up to 150 C (300 F), sulphur cured EPDM can only resist temperatures up to 120 C (250 F). One must carefully select the required cured EPDM. For normal use sulphur cured EPDM will do fine and is the inexpensive choice, however for heavy use peroxide cured EPDM is highly recommended. Our rubber specialists are happy to help you select the right type of cured EPDM for your application. Peroxides improve the heat stability, the modulus, the aging and the compression set of compounds. In addition the color of the compound will not revert during the cure and has less tendency to bloom. 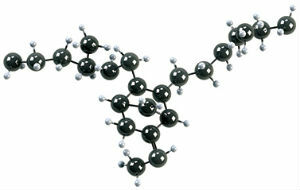 Peroxide cured EPDM is widely used in the rubber industry due to these enhanced properties. *Peroxide cured EPDM compounds are therefore not recommended for gasoline, petroleum oil and grease, and hydrocarbon environments. Peroxide cured EPDM is very suitable for use in (Chloramine treated) drinking water, food and beverages (incl dairy products) applications. For questions about the application of peroxide cured EPDM please contact the ERIKS office near you or fill out our ASK ERIKS form on the right.